The sport has been milking the milestone it’s fair to say, with drivers wearing one-off special helmets and the ‘F1 1000’ logo just about everywhere around the circuit. The drivers didn’t seem to care much in yesterday’s post-qualifying press conference though. And Vettel’s response was likewise. Vettel laughed: “They are bloody quick in the corners! “For us, obviously when we get close I think we have an advantage in a straight line so maybe we can do something there. 5.45am: Hamilton is a five-time champion at the Shanghai International Circuit but he admitted himself yesterday he has struggled to eke the same performance out of his car this year and last compared to previous seasons. But he was still pleased with how the Silver Arrows go into today’s race. He said after qualifying: “Big congratulations to Valtteri, he’s been stellar all weekend. I’ve been struggling and fighting the car all weekend. We’ve been chipping away at it and I’m much, much happier. 5.35am: While his Mercedes team-mate Lewis Hamilton has struggled for pace all weekend, Bottas has been on strong form and ended 0.023 seconds quicker than world champion Hamilton – who at least improved in qualifying. It’s another early one from Shanghai with lights out set for 7.10am. 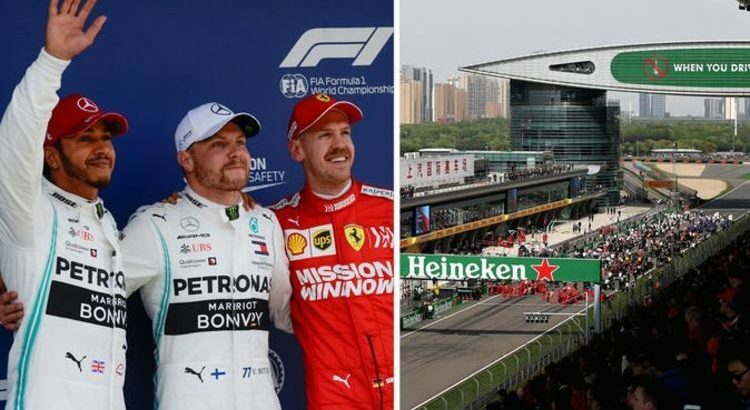 This is the third race of the season with Valtteri Bottas leading the 2019 drivers’ championship by a single point after Australia and Bahrain.